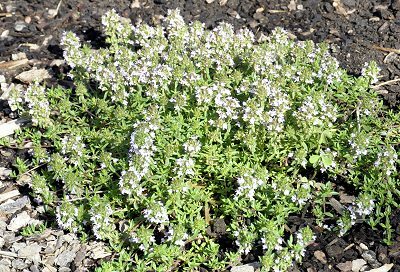 Creeping Winter Savory is a low growing culinary herb with a slightly less spicy flavor than Winter Savory but still an appropriate stand in for recipes calling for savory. 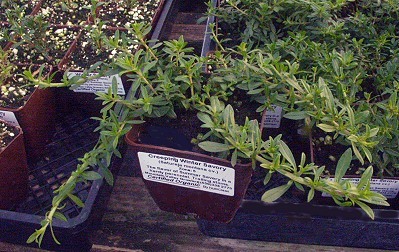 It makes an attractive addition to any container where it is allowed to cascade over the edge. Plant in a half barrel with other small culinary herbs like Dwarf Sage, Chives, English Thyme, Parsley, Italian Oregano and German Chamomile. It also can be used as a ground cover but it does die back in the winter. Uses: Culinary, Medicinal This plant has been discontinued. You might try Lemon Frost Thyme.